Egyptian President Abdel-Fattah El-Sisi announced on Friday his intention to run for a second term in the 2018 presidential elections. The president made the announcement during the third and final day of the 'Story of a Nation' event in Cairo, where he has been presenting a balance sheet of the achievements made by his administration over the past four years. The vote for the presidential elections is set to take place on 26 to 28 March, with candidates required to submit all necessary papers to Egypt’s National Elections Authority (NEA) between 20 and 29 January. Besides El-Sisi, the presidential hopefuls who have announced their intention to run are leftist human rights lawyer Khaled Ali; Zamalek club chairman, lawyer and parliament member Mortada Mansour; and former Army Chief-of-Staff Sami Anan. El-Sisi won the last elections in 2014 with 96 percent of the vote, assuming office in June after defeating his sole competitor, leftist politician and leader of the Egyptian Popular Current Hamdeen Sabahi. If no other candidate runs against El-Sisi, Article 36 of the law regulating the presidential elections says that a vote will still be held, requiring a ‘yes’ vote from only 5 percent of voters. If the candidate fails to obtain the required number of votes, the NEA should set a new date for elections within 15 days of the announcement of the poll results. According to the constitution, the Egyptian president can serve for a maximum of two four-year terms. 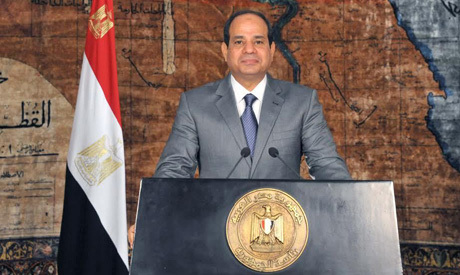 The upcoming presidential elections are Egypt's third since the January 25 revolution.